Silver Fox Collectibles is excited to announce this Predatory Scale. Raptor Statue. This 44 cm from foot to tail is a beautiful piece of one of the most famous Dinosaurs. helped by all the resent movies. 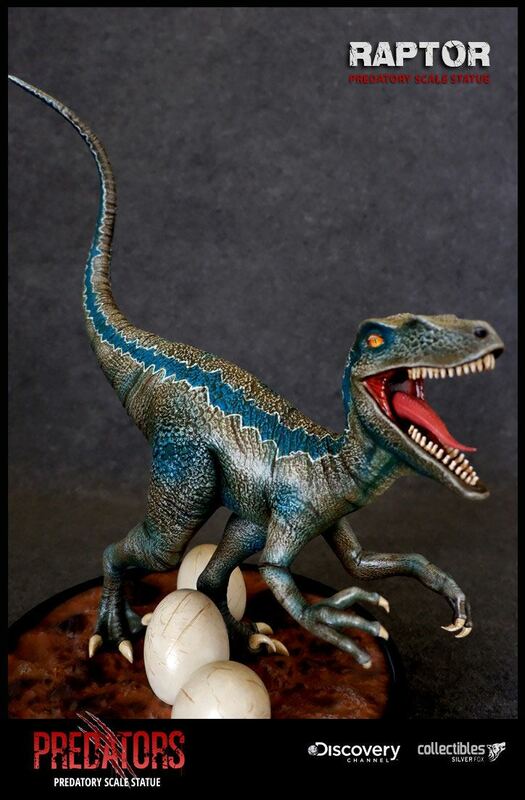 This Raptor Statue comes on a base protecting its eggs.